Do Active Military Personnel Qualify For Title Loans? 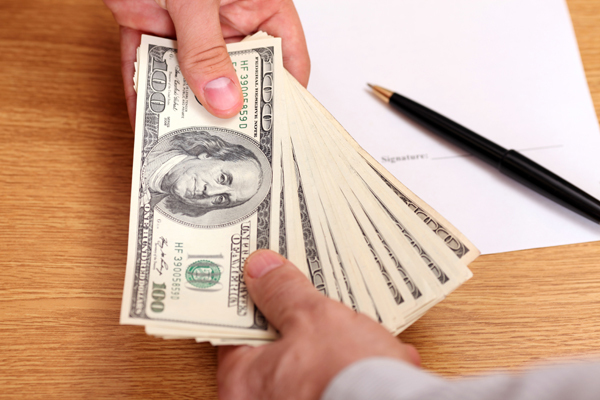 Most people in Arizona prefer taking the short term secure auto title loan when they are cash strapped. The best advantage of taking the loan is the fact that any vehicle owner with a clear title is eligible to be approved for the loan. There are no questions asked about the reason for the loan and no credit checks done by the lender which makes it a popular short term loan. All that the lenders see is the model, make, mileage and age of the vehicle apart from the current condition and then the car or vehicle is evaluated based on the Kelly Blue Book. The title has to be in your name and as per the evaluated value of the vehicle; you’ll be offered a certain sum which would be about 30% to 50% of the car’s value. The interest is charged over the borrowed amount only and is payable within 30 days. Your car title deed, payment stubs and your vehicle is the only thing that is needed to be eligible for the loan. There is hardly any paperwork except signing over the title in the lender’s name. However even then, there are specific category pf people who cannot be approved. According to a recent legislation, active military personnel and their immediate dependents are not allowed to take title loans. As per the 2006 Federal Military Lending Act, requires that the loans given to serving military officers cannot have an interest rate higher than 36% APR. Additionally, loan lenders are prohibited by law to give a loan through personal check and debt authorization and even title loans. Due to these restrictions, title loans are not provided to active military personnel and their immediate families, so even if anyone applies not knowing the law, the title loan lenders will decline the application on these grounds. You’ll be asked if you are in the military or a dependent and if it is in the affirmative, you’ll be declined. This is one of the preliminary questions asked early on in the application. Though it is not possible to save money always, there are instances when you have an emergency requirement and cannot even fall back on friends or family. It is at such times, to tide over financial difficulties that car title loans or auto title loans are the best ways to get cash quickly. Last updated by Krupa Pal on July 17, 2014 .